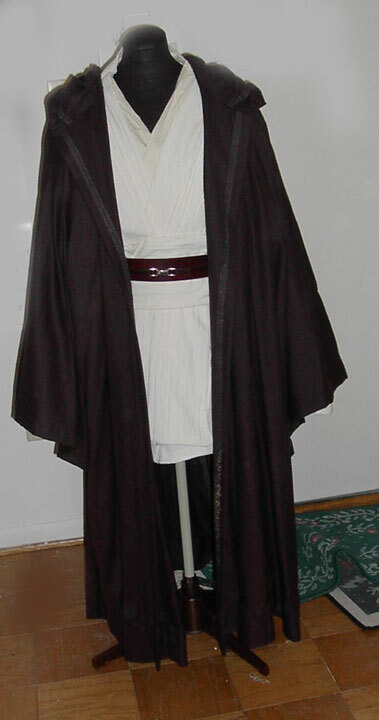 My interest in costuming started with The Phantom Menace, when my friend Gail and I decided to make Jedi costumes for a friend's Halloween party in 1999. We did a ton of research, watching the movie a ton of times, and surfing the web. Little did a know what I had started! I followed the instructions on Amber's Jedi Meditation Chamber to make my Robe, and watched the movie a million times looking for where the seams were. I wanted to be as close to the orginal as possible. Even though Jedi seem to be a dime a dozen these days, I will always have a lot of fondness for the Jedi costume, as it is what started me down this path, which has made me so many wonderful friends. 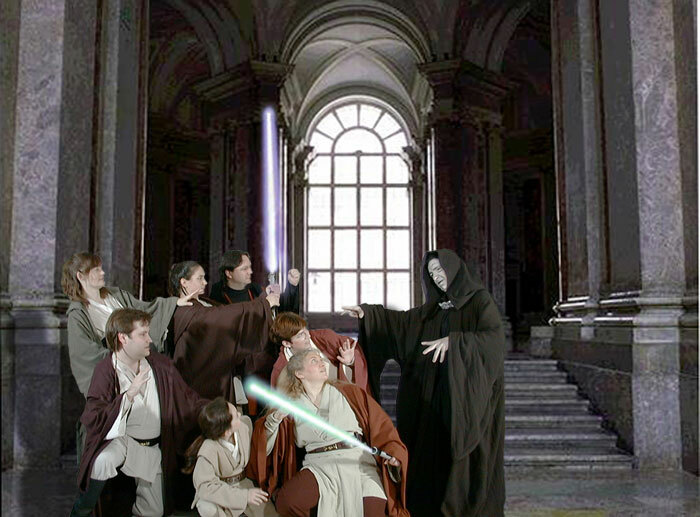 My friends and I and a little photoshop.